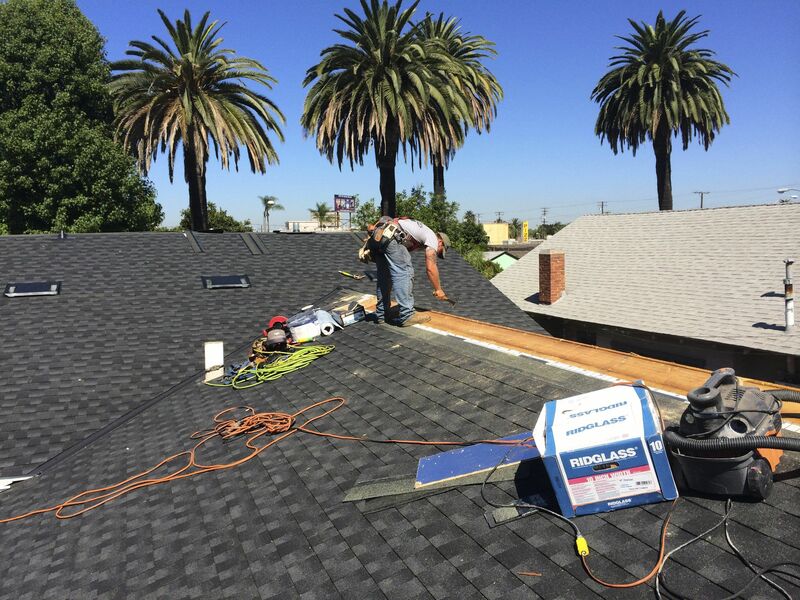 A couple weeks ago, after many, many years in the roofing industry we encountered a first on a roofing project in Long Beach, CA. Not uncommon to come across a unique detail on a roofing installation, as no two roofs seem to ever be the same. However, what started out as a normal job, quickly turned into something far more dangerous and odd. Before we begin, we want to lead with a caveat...  It will not change our use or promotion of the following roofing materials, nor will we name names or manufacturers for protection of their brand. We have installed this exact same roofing system, literally hundreds, if not thousands of times before. Yet, we simply share this to our future clients and fellow peers as a learning experience and out of an abundance of caution for the future. 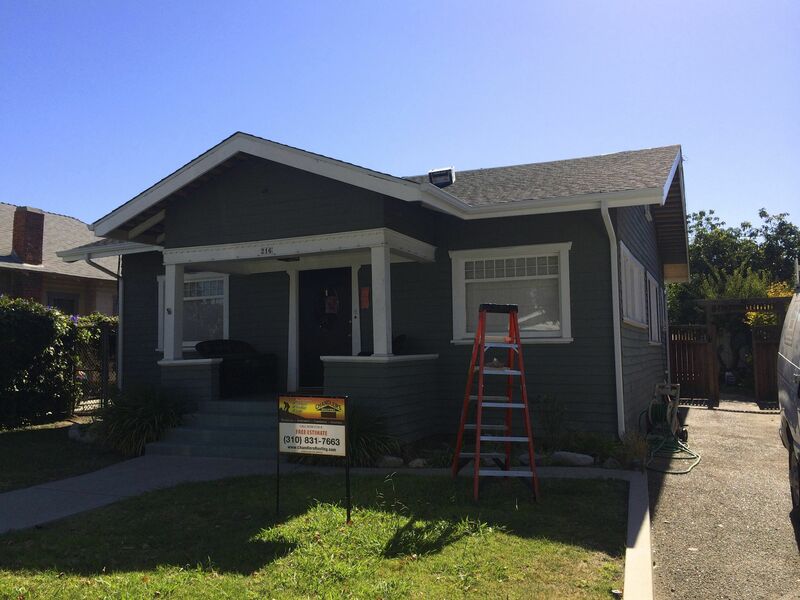 We had a team of installers re-roofing a new composition shingle roof and installing seamless aluminum rain gutters on an old (1920‘s) California Bungalow home in Long Beach, CA. This is an architectural style we have lots of experience with. This home had an addition done to it, sometime between the 1930‘s and 1960‘s which was all open beam, tongue and groove ceiling. Our team tore off the old roof, rotted and termite damaged lumber was replaced and new 1/2 inch OSB plywood with attached radiant barrier sheeting was installed on the entire house. A very common assembly for us and again, one we had done a thousand times before. Next, our team began waterproofing and shingling the home with a synthetic underlayment, composition shingle and all new edge metal, valley metal, flashings and new seamless aluminum rain gutters. This is where things got weird and downright dangerous! Every bit of metal in the roof including rain gutters and downspouts became charged with electricity and began to shock our guys, some areas stronger than others. Of course this is no laughing matter and our team immediately went to work to try and figure out the problem. A loose wire for the timer on the sprinkler system was found and pulled away from a downspout and it seemed to fix the problem. Our crew continued to roof, but the problem did not go away. Every square inch of the property was walked and nothing could be found. A professional electrician was called in and using a meter, we were reporting 120 volts of electricity in the edge metal, valleys, gutters and even the downspouts. We literally could have powered a skillsaw off the downspouts! Making matters even worse, no breakers were tripped. Upon further investigation, we isolated a breaker labelled for the fan in the open beam ceiling section of the home. When tripped it stopped the electrical current immediately, so we at least isolated the section of the roof and current which was causing the problem. However, no exposed wiring could be found, nor was there any attic space for wiring and thus, the conclusion of our team was that something had to be running through the ridge line or rafters. Though time consuming and painful (financially) we had no choice but to demo the roof structure starting directly above the ceiling fan and working our way back to find the problem. Low and behold the contractor who had completed this install, routed out the support beam under the T&G decking and one rafter, running braided cloth romex through the channel with no nail plates. Sure enough, we were able to isolate one single nail, that had just barey nicked the wiring and was pulling the charge. Not our guys fault, nor would they have ever known. 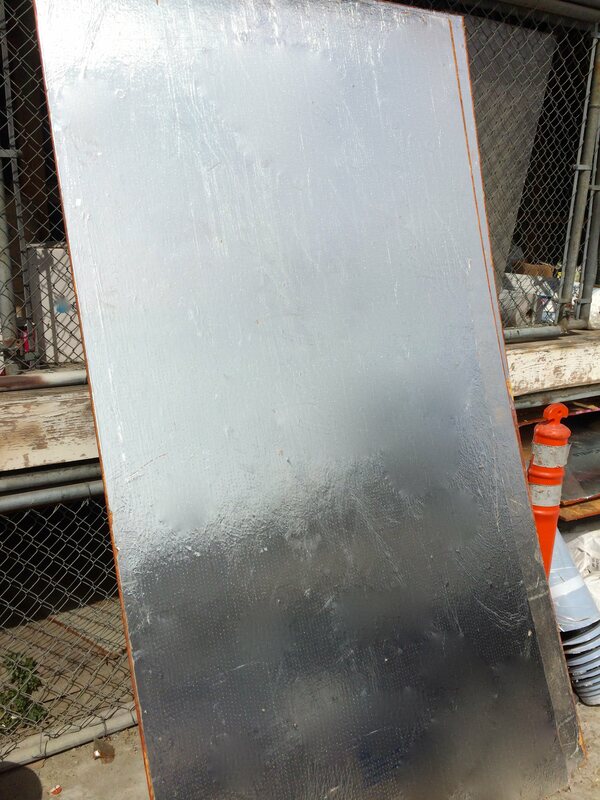 But the greatest unknown, was how every piece of metal became charged throughout the exterior of the property and we finally figured out the culprit... The OSB with radiant barrier sheeting! The thin foil, even with a 1/8” gap between the plywood, was pulling the current from the one nail and carrying it throughout the entire roof, charging all the metal that nails penetrating the OSB were touching. Lesson learned for sure and we are extremely thankful we gained this experience for the future. Again, it will not change our use of OSB with radiant barrier, but it does give our entire team a tailgate lesson to discuss at our next safety meeting. If you’ve experienced this before, we’d love to hear about it and how you corrected work in the future to accommodate this potential problem.